Why Do Men Avoid the Doctor? Men are known to avoid visiting the doctor. Why is that? Men die, on average, around 2 years earlier than women. They are more likely to smoke, drink excessively, be greater risk takers, have more dangerous professions, take their own lives or die from heart disease, cancer, stroke, diabetes or Parkinson’s disease. Now that’s a pretty lengthy list of what can go wrong for our men-folk, but before we go further along the lines of suggesting that men are just unhealthier than women, there is another factor at play that we need to consider. Men just do not go to the doctor as often as women. In fact, men are three times more likely than women to go five years or more between doctors’ visits and twice as likely to have never seen a doctor in their adult lives! It may be that they ‘feel fine’ and can’t see the reason to make an appointment, but the reality is that many chronic diseases have few or no symptoms early in the disease process when they can be treated, cured or reversed easily. Type 2 diabetes, high blood pressure, kidney disease and even heart disease are conditions that develop slowly over time, so by the time you are feeling unwell, it can be much harder (and more costly) to turn things around. We took a look at some common reasons that men give for not having an annual check-up with their GP, debunked the myths and put some strategies together to make the process a little less daunting. You can also use the Guys’ Guide to know when and why you need to make an appointment, as well as, what you can expect when you get there. Men, it’s good to think of this as a ‘manufacturer’s maintenance schedule’ and just get on with it. Set alarms in your phone or write reminders in your diary to remind you to make the appointments (and go!). It really is the way to make sure that you’re here for both a good time and a long time. Many GP practices are now open on weekends and after business hours. Maybe you can call ahead of your appointment and make sure the doctor is running on time – to limit your wait? In reality, attending an appointment is less time consuming and disruptive to your busy schedule than becoming ill – so be proactive not reactive! Worrying about what’s wrong only makes you feel worse for longer. The reality is if there is something going on, you will find out about it either now or later. However, in regards to health the earlier you address an issue the better. On the flip side, if nothing is wrong then you can stop worrying making you feel better sooner. Unless you have a specific concern or are over 50, there isn’t usually any routine reason for you to be naked below the waist at an annual check up. If you are over 50, you will need to have an annual prostate exam. But remember doctors do this regularly and there is nothing that they haven’t seen before. In fact, the thoughts you’ve created in your head are probably much worse than the procedure itself. The actual prostate exam is likely to be at the end of your consultation– reducing your duration of feeling awkward. Once again, doctors have heard (and seen) it all before. Although you may feel uncomfortable about your reply to your doctor’s questions, accurate information is essential to assess and treat you appropriately. Remember they are not allowed to discuss your consultation with anyone else unless you have given them permission to do so – therefore whatever is said (or happens) in the room, stays in the room. Most doctors’ bedside manner is better than a lecture these days, and if excess weight is a concern, then it is important that your doctor discusses it with you. Despite your perception of “feeling fine” weight increases your risk of serious chronic diseases such as diabetes, cancer, high blood pressure, heart attack and stroke – and you may have no symptoms. Therefore, would you in fact feel worse about your doctors’ approach if you weren’t warned and then suffered one of these diseases? There are many things people don’t want to do in life - like working, cleaning, or exercising. But we do them anyway… it just takes the first step. So make that appointment – you and your loved one’s will feel better about it already! Remember that by going may in fact be beneficial for your quality of life – because I bet you don’t want to be unwell either! The last thing you want to do if you feel unwell is work out who to go see. Act now! Ask friends, family members, work colleagues, insurance companies whom they’d recommend in your area, in case the unexpected happens. It’s always good for you to know that there is trustworthy support if you need it. Chances are you’re not a fortuneteller – so it’s best not to try to interpret your future (and health) based on what you may think. This is where doctor’s come in as they make informed decisions about your health – they assess, test, monitor, guide, and if there’s ‘nothing wrong’ they are able to reassure you based on the evidence so you can stop worrying. Let’s be honest, if doctors truly did nothing their profession wouldn’t exist. We all only get one body – so it’s important to ‘service’ it. There should be nothing to feel ashamed about by seeing a doctor – their role is to improve your health and longevity, and to assist you when things may not be going as you had hoped. 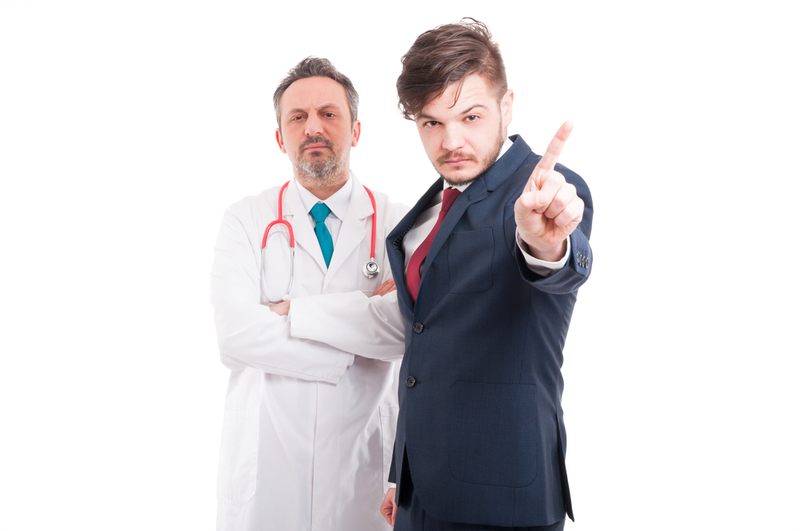 Remember unless you’ve allowed them to do otherwise, doctors must keep your consultation confidential, so what happens in the room - stays in the room. And just because you may need their assistance doesn’t mean you’ve been doing anything wrong or are weak, sometimes unfortunately it’s just our DNA – and that is beyond our control. So be brave, and see your doctor – because your body, future self and loved ones will thank you! 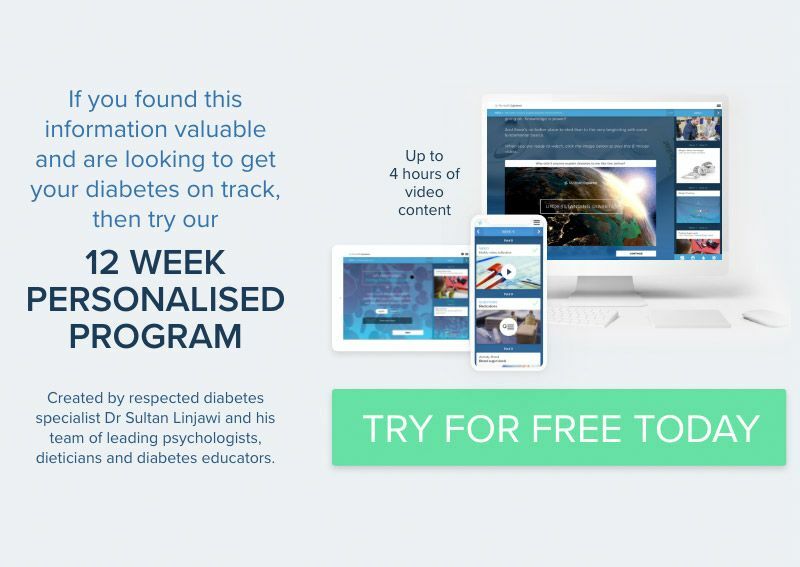 If you have already been diagnosed with diabetes and would like to know more about how best to manage your condition, you can join our personalised 12 week diabetes program. We can tailor your program to give you more of what you want to see, for example tips of carb counting or exercise. Plus, the first week is completely free! You can also read about what other people thought about the program on our Testimonials page .